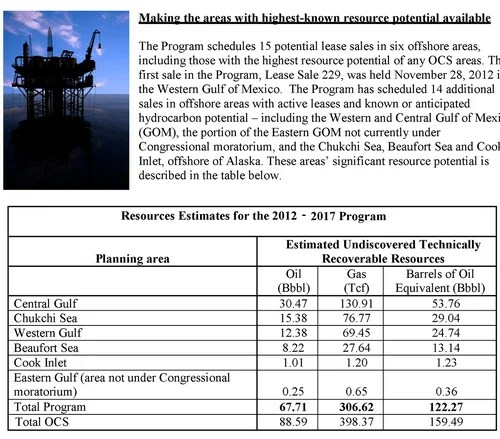 The Bureau has completed an assessment of the undiscovered technically recoverable resources (UTRR) underlying offshore waters on the Outer Continental Shelf (OCS). The Bureau estimates that the quantity of undiscovered technically recoverable resources ranges from 66.6 to 115.3 billion barrels of oil and 326.4 to 565.9 trillion cubic feet of natural gas. 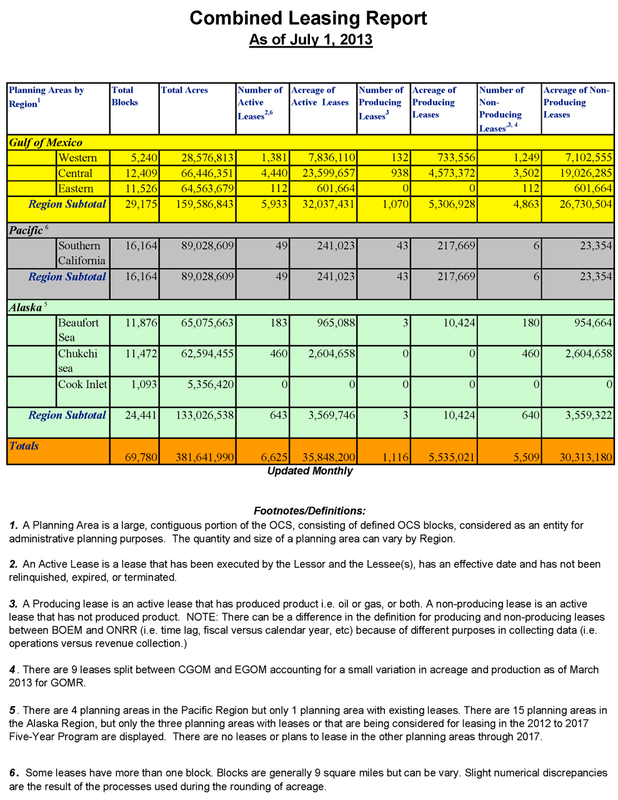 The mean or average estimate is 85.9 billion barrels of oil and 419.9 trillion cubic feet of natural gas. 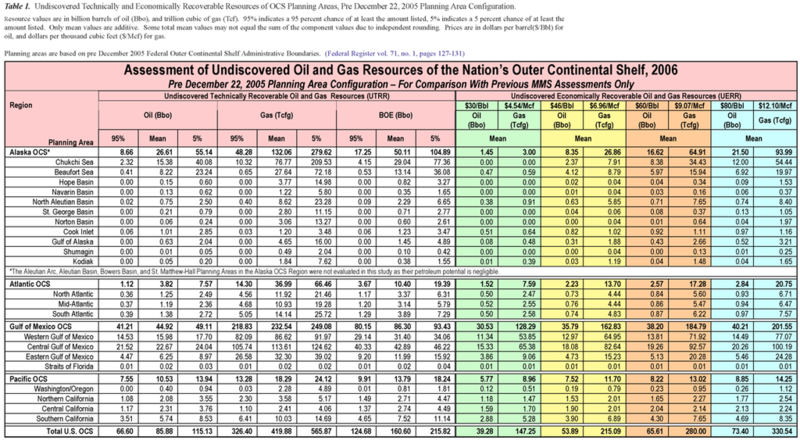 These volumes of UTRR for the OCS represent about 60 percent of the total oil and 40 percent of the total natural gas estimated to be contained in undiscovered fields in the United States. 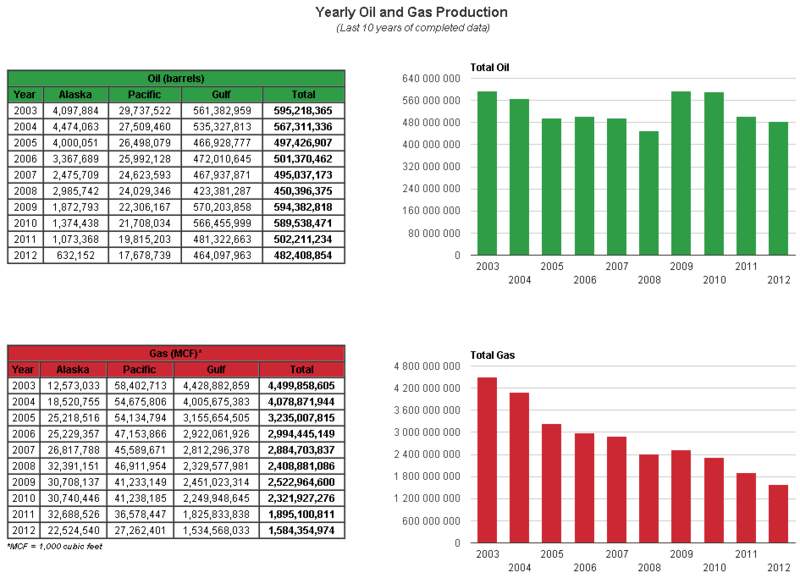 The mean estimates for both oil and gas increased about 15 percent compared to the 2001 assessment. 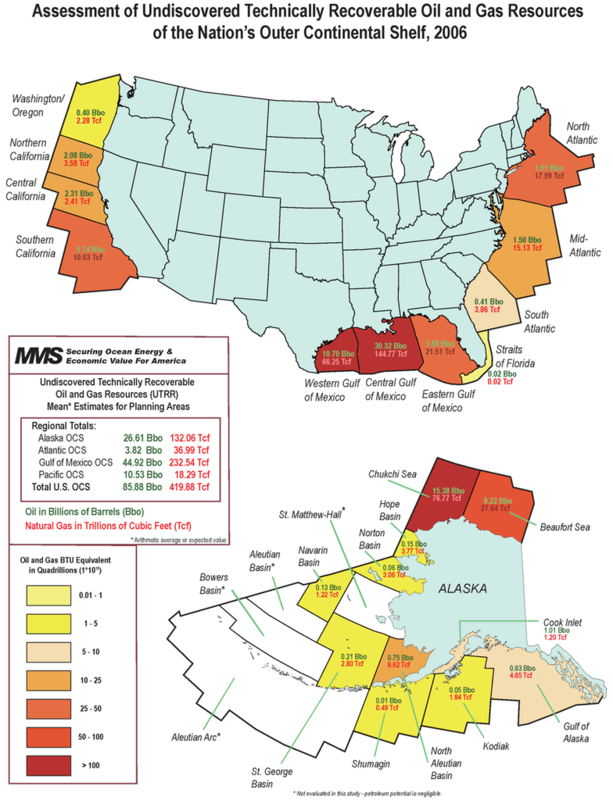 For the oil resources, the vast majority of this increase occurred in the deepwater areas of the Gulf of Mexico, while for gas resources the majority of the increase was in deep gas plays located beneath the shallow water shelf of the Gulf of Mexico. 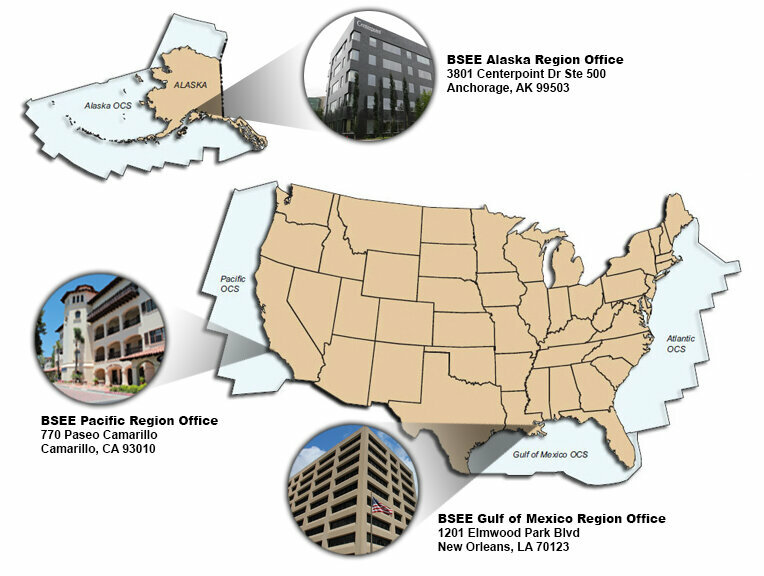 The Bureau of Safety and Environmental Enforcement (BSEE) was formally established on October 1, 2011 as part of a major reorganization of the Department of the Interior’s offshore regulatory structure. In response to the Deepwater Horizon explosion and resulting oil spill in the Gulf of Mexico, the Obama Administration launched the most aggressive and comprehensive reforms to offshore oil and gas regulation and oversight in U.S. history. The reforms, which strengthen requirements for everything from well design and workplace safety to corporate accountability, are helping ensure that the United States can safely and responsibly expand development of its energy resources. The administration quickly launched the most aggressive campaign to enforce safety and conservation on the Outer Continental Shelf (OCS). In selecting Michael R. Bromwich to lead the Bureau of Ocean Energy Management, Regulation and Enforcement (BOEMRE) in June 2010, President Barack Obama and Department of the Interior (DOI) Secretary Ken Salazar issued a mandate: to reform the government’s regulation of offshore energy development and the agency responsible for it. 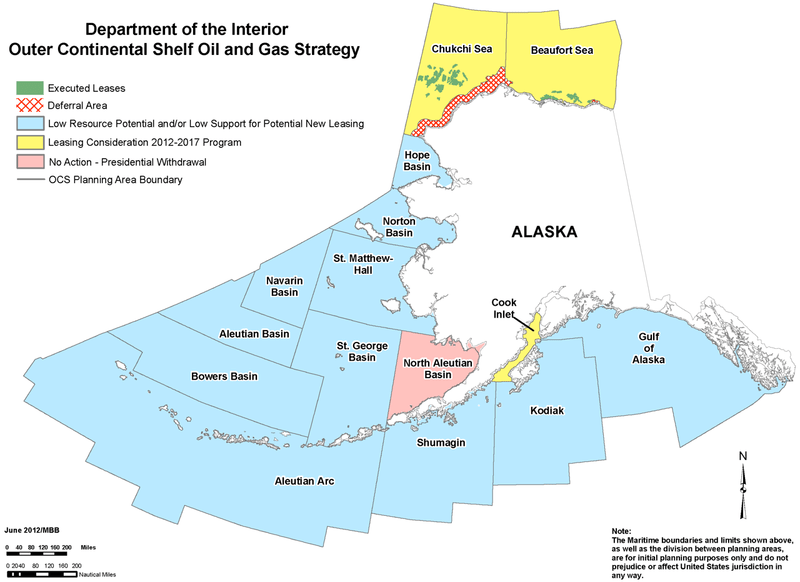 On May 19, 2010, Secretary of the Interior Ken Salazar signed a Secretarial Order dividing the Minerals Management Service (MMS) into three independent entities to better carry out its three missions of 1) ensuring the balanced and responsible development of energy resources on the Outer Continental Shelf (OCS); 2) ensuring safe and environmentally responsible exploration and production and enforcing applicable rules and regulations; and 3) ensuring a fair return to the taxpayer from offshore royalty and revenue collection and disbursement activities. 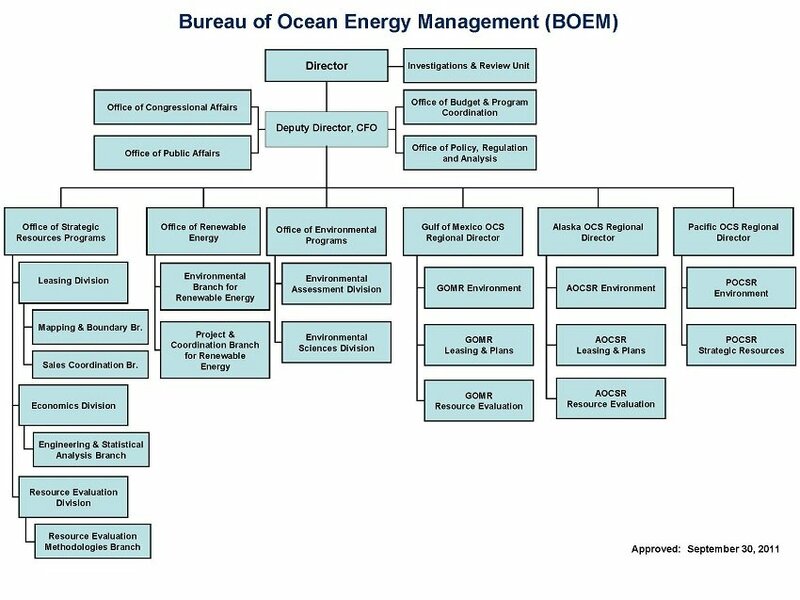 MMS was renamed Bureau of Ocean Energy Management, Regulation and Enforcement (BOEMRE) to more accurately describe the scope of the organization’s oversight. Michael R. Bromwich, was chosen to lead BOEMRE in June 2010 to reform the government’s regulation of offshore energy development and the agency responsible for it. 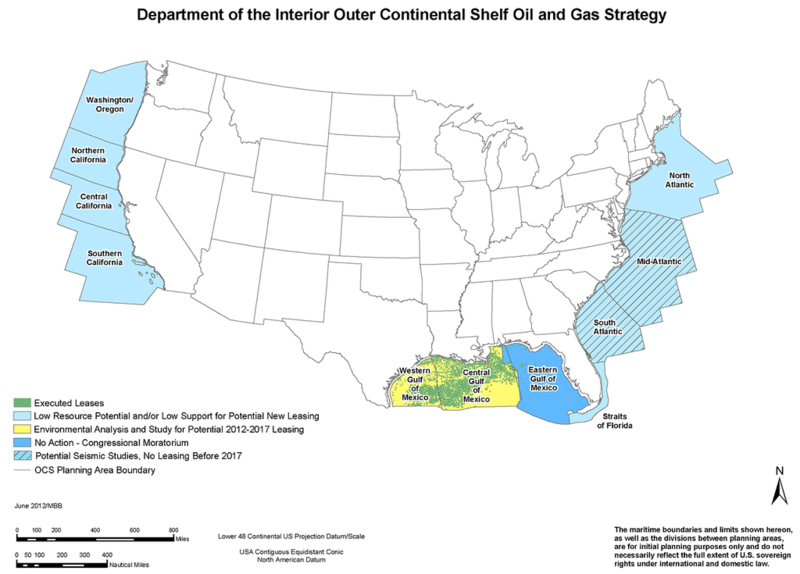 An implementation plan published by the Department of the Interior in July 2010 called for restructuring the department’s offshore energy management responsibilities, detailing a transition that would begin as early as October 1 and be completed in 2011. In the place of the former MMS – and to replace BOEMRE – we are creating three strong, independent agencies with clearly defined roles and missions. MMS – with its conflicting missions of promoting resource development, enforcing safety regulations, and maximizing revenues from offshore operations and lack of resources – could not keep pace with the challenges of overseeing industry operating in U.S. waters. The reorganization of the former MMS is designed to remove those conflicts by clarifying and separating missions across three agencies and providing each of the new agencies with clear missions and additional resources necessary to fulfill those missions. As we implement these organizational changes, all bureaus are taking into account the crucial need for information-sharing and the other connections among the functions of the former MMS. 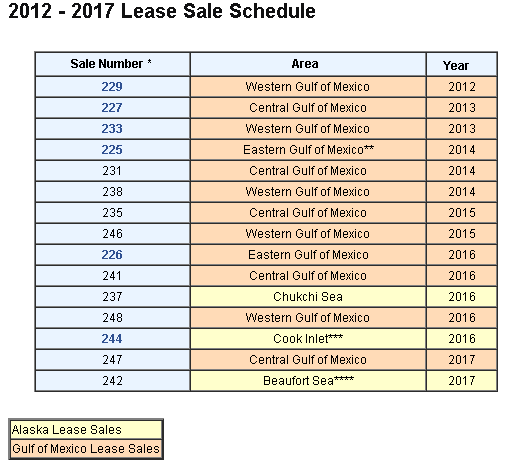 This is essential to ensure that the regulatory processes related to offshore leasing, plan approval, and permitting are not adversely affected. On October 1, 2010, the bureau completed the transfer of the revenue collection function. The Office of Natural Resources Revenue now resides under the jurisdiction of DOI’s Office of Policy, Management and Budget. The final stage of the reorganization of BOEMRE will become effective October 1, 2011 when its splits into two independent entities: the Bureau of Ocean Energy Management (BOEM) and the Bureau of Safety and Environmental Enforcement (BSEE). 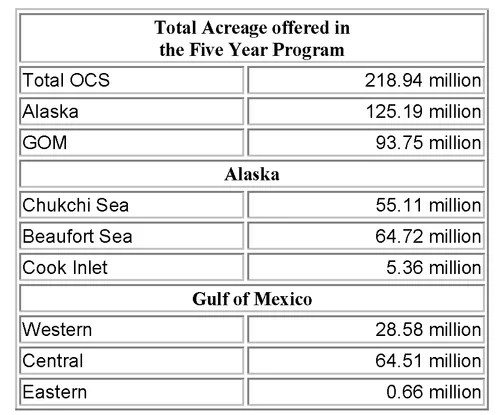 On October 1, 2011, the new Bureau of Ocean Energy Management (BOEM) was created. BOEM is responsible for managing development of the nation’s offshore resources in an environmentally and economically responsible way. Functions include: Leasing, Plan Administration, Environmental Studies, National Environmental Policy Act (NEPA) Analysis, Resource Evaluation, Economic Analysis and the Renewable Energy Program. Also on October 1, 2011, the new Bureau of Safety and Environmental Enforcement (BSEE) was created to enforce safety and environmental regulations. Functions include: All field operations including Permitting and Research, Inspections, Offshore Regulatory Programs, Oil Spill Response, and newly formed Training and Environmental Compliance functions. Нефть и газа на шельфе — значительный резерв для США. После «сланцевой нефти» может возникнуть бум «шельфовой нефти».